In our third interview supported by the Ford Foundation, Jillian speaks with Rehad Desai, a documentary filmmaker and producer and the CEO of Uhuru Productions. Rehad has produced over 20 films to date, including Born into Struggle, Miners Shot Down and the Giant is Falling. Born into Struggle - which received international acclaim at the 2004 Cannes Film Festival - is his most personal film. The film follows the life of Rehad’s father, ANC activist Barney Desai, and the impact that South Africa’s struggle against apartheid had on Rehad’s childhood and who he has become today. Miners Shot Down - Rehad’s most well-known film and a 2015 International Emmy award winner - tells the tragic story of the 2012 police massacre of 34 miners in Marikana, South Africa, who were fighting for higher wages and a better life. 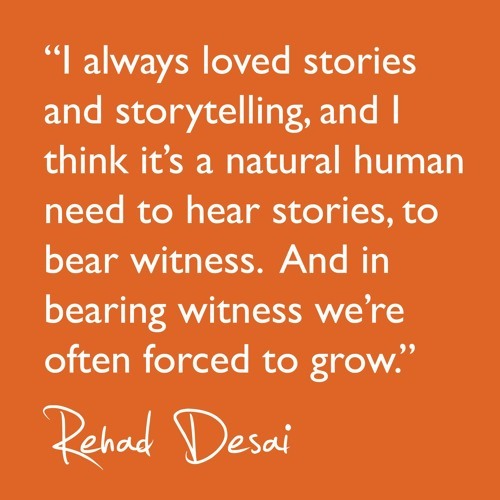 Rehad’s stories are at once intimate and universal, and through them he seeks to not only prompt reflection, but also forge a new kind of human connection.